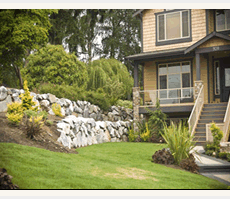 B&D Rockeries has been serving in the Snohomish and King county areas for over 35 years. 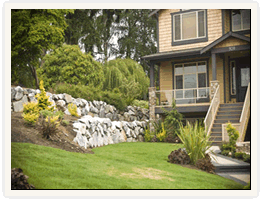 Owner, Neil Eneix, has a capable and skilled knowledge of rock retaining wall development that will help you accomplish any rock garden design that you need. Whether you’re looking for rocks or blocks, Neil has been helping homeowners carefully plot out their landscaping projects for years. Every job is different, meaning every job requires a different set of engineering skills. Things like, how we are going to access your backyard with our equipment and what type of material is going to work best for your wall are all difficult choices that will affect your yard for years. Customers keep coming back to B&D for the honesty and integrity with which Neil Eneix conducts his business. When you hire B&D Rockeries, you can count on free estimates and a professional rock wall builder‘s opinion. 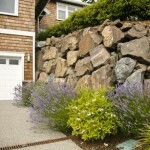 We understand that it’s not just about building a retaining wall. It’s about helping you experience something that will last and be pleasurable to look at for years to come. Most customers feel like Neil Eneix goes the second mile when bidding out their jobs just to make sure everything is fully planned out before he starts.